This is the engrossing story of the seasons the author spent climbing 4000m mountains in the different regions of the Alps. It is also about the people with whom he climbed who found time out of their day-to-day routine for this extraordinary activity. He explains the reason for this fascination which resulted in their spending decades pursuing their climbing objectives. The words and photos bot… h encapsulate the alpine experience in all its beauty and suffering, pain and exhilaration, danger and humour which is shared with each climbing partner and open to anyone with the same commitment. 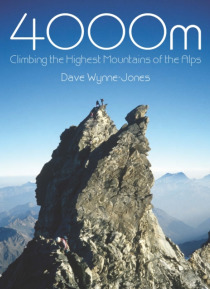 The author believes that climbing all the 4000m mountains is a realistic and achievable objective that will take mountaineers into much wild and beautiful terrain. These are not just snow plods: every mountain has a worthwhile route on it and even those with long glacier approaches can become superb ascents and descents on ski in an alpine spring. The many photos taken over the years were a reminder of details that had escaped notice in the journals kept at the time. These numerous stunning and inspiring photographs tell their own story and enrich the author's account. The book is dedicated to all his climbing partners who made the completion of the quest possible.